In 1956 Dwight D. Eisenhower established the "Sister Cities Program" to promote greater understanding and peace among citizens throughout the world. Tucson embraced this vision and has adopted formal relations with communities in Hungary, Kazakhstan, Spain, Ireland, Greece and Mexico. The Tucson-Mexico Sister Cities Committee has enjoyed a very special relationship with Guadalajara, Jalisco since 1972, Ciudad Obregón, Sonora since 1980 and now Mazatlan, Sinaloa and Puerto Peñasco, Sonora. "Increased collaboration with our friends in Mexico presents outstanding opportunities for our cities. Our shared interests are the foundation of our strong relationship." Donna Whitman is a native Tucsonan. Having immigrated to Mexico in 1971, she had two children, Alejandro and Arturo Alcantara. 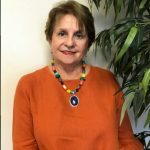 As Director of Interpreter Services with Arizona Superior Court in Pima County, she worked for 32 years coordinating language services for the court system in Tucson. She also worked as an interpreter practitioner, which was her first love professionally. She is federally certified by the Administrative Offices of the United States District Courts. Donna also teaches interpretation and translation at the University of Arizona as adjunct faculty. In her spare time, Donna works as a free-lance interpreter specializing in forensic evaluations and she loves to travel with her husband Frank Valenzuela. Donna’s other loves are her dogs Franny & Samba, and serving on the boards of Tucson Mexico Sister Cities, Tucson-Pima Women’s Commission and the Puerto Peñasco Youth Sports Foundation in Rocky Point Mexico. She graduated from the University of Arizona earning a Bachelor of Arts Degree in Romance Languages. Frank Valenzuela is a native Tucsonan. After 42 years in the banking industry he retired from Wells Fargo Bank. In November of 2006 he began working with Community Investment Corporation as Executive Director where he worked with similar non-profit organizations providing down-payment assistance programs to qualified borrowers and small business loans and charter schools. Frank has also served on the Board of Directors of El Rio Health Center for over 22 years. As President of the Tucson International Mariachi Conference, Frank was instrumental in organizing numerous events for its 25th anniversary celebration. 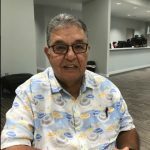 He is a graduate of Tucson High school and received an Associates Degree from Pima College in banking and later received a Bachelor of Science Degree in Business Administration from the University of Phoenix. Frank is married to Donna Whitman, also a long-time member of Tucson Mexico Sister Cities. 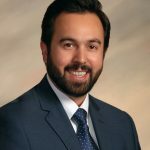 Juan Francisco Padrés also known as JP, is the new Public Affairs Manager for the autonomous trucking company TuSimple. Based in Tucson, AZ, JP is responsible for government, business, and community outreach in Arizona, New Mexico and Texas. 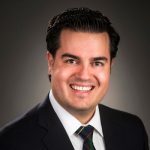 Born and raised in Nogales, Sonora, Mexico, Juan studied at the University of Arizona where he earned his BA in Political Science and his MBA from the UA Eller College of Management. Previous work experience has been at the City of Tucson where he served as the Economic Development and International Trade Specialist, as well as in the private sector with companies such as JPMorgan Chase, Wells Fargo, and as an entrepreneur and business owner in Tucson. Juan is married to his wife, Maria Paloma, and they have two daughters, Paloma and Rebeca, and a beagle named Bruno. Juan enjoys spending his spare time in San Carlos, Mexico with friends and family, and is an avid skier in the winter months. Kim Freidah serves as bilingual psychologist at Gallego Intermediate Fine Arts Magnet School in the Sunnyside Unified School District. A native of Sag Harbor, Long Island, she moved to Tucson in 1984 to begin her doctoral program at the University of Arizona School Psychology program. 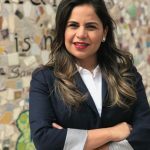 After four years as bilingual school psychologist with Sunnyside, she wanted more immersion in Latino cultures and took assignments in community development and higher education in Tamaulipas, Mexico and later Managua, Nicaragua. After 18 years abroad, she returned to Tucson and Sunnyside in 2010. 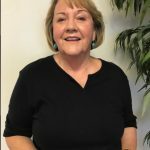 She enjoys being involved with Southside Presbyterian Church, Sonoran Spa HOA, Southern Arizona Psychological Association and TMSC. 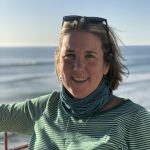 She appreciates the strong connection with Mexico, where she has permanent residency, and travels to Puerto Peñasco or Ensenada whenever possible. Kim enjoys that her two adult children and two grandchildren live in Tucson now. She loves to sing, play guitar, swim, kayak, laugh, and have fun. Marisol Vindiola is currently the Director of Mexico Initiatives at Visit Tucson, where she is responsible to work with all the Visit Tucson Departments, business partners, and local, state and international governmental organizations to strengthen the promotion and relationship between Tucson and Mexico. Visit Tucson is the official destination marketing organization for Tucson and southern Arizona.Ms. Vindiola currently serves on the boards of director for Arizona Town Hall, Patronato San Xavier Mission, Tucson-Mexico Sister Cities, Tucson Craft and collaborates with writing articles pertaining to the promotion of tourism in the region, for main Spanish media, such as Vamos a Tucson Visitor’s Guide in Spanish, El Imparcial Newspaper, Tu Casa Nueva Magazine, Mega-Cable, Arizona Bilingual Newspaper, Univision, Telemundo, among others. 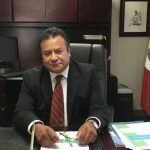 Ricardo Morales was born in our Sister City Guadalajara and he is a graduate of The Universidad Autónoma de Guadalajara. He has more than 10 years of experience in The United States-Mexico Relations. 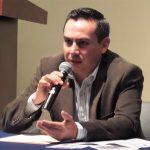 His work experience includes: The United States Consulate General in Guadalajara; The Consulate of Mexico in Tucson; The Tucson Hispanic Chamber of Commerce; The Ambos Nogales Hispanic Chamber of Commerce & International Welcome Center; The Southern Arizona Office of the Arizona Governor as well as assisting the Arizona-Mexico Commission in events. Ricardo Morales is also Co-Facilitator of the Hispanic Leadership Program in Tucson. Teresa Bravo is the Coordinator of Economic Development and International Projects for Pima County. She is engaged in business attraction and expansion activities on both sides of the United States-Mexico border. She also works on special projects related to transportation logistics, tourism and trade. She holds a Bachelor’s degree in Mexican American Studies from The University of Arizona and an associate degree in Social Services from Pima Community College. And currently pursuing an Executive MBA at the University of Arizona Eller College. Teresa is originally from San Luis, R.C., Sonora, Mexico but has lived most of her life in Arizona with her family.